Dementia is a debilitating condition affecting more than 5 million Americans—most of whom are seniors. Sadly, dementia will affect far more people in the not-so-distant future. Experts estimate that this number could more than triple by 2050. Maybe even more alarming than the growing number of dementia cases is wondering whether your aging loved one’s memory issues are simply age-related—or a telltale sign of dementia. While memory loss is the first thing we associate with dementia—and often its most obvious sign—there are other, less obvious signs that a loved one may have dementia. 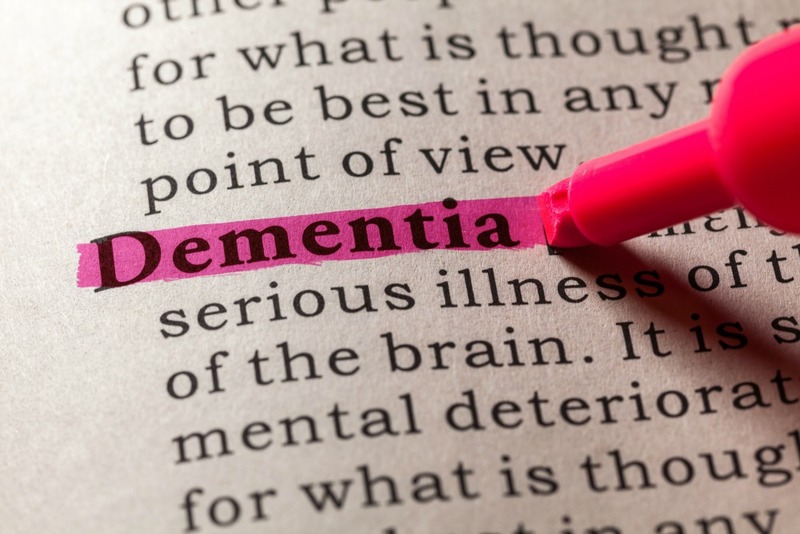 In fact, symptoms of dementia can vary greatly, making it all the more important for caregivers to understand the different symptoms the condition can present. Let’s take a look at some of the basics of dementia, signs to keep an eye out for, and ways that caregivers can help their aging loved ones who have dementia. It’s important to note that dementia is not a specific disease, but rather a term used to describe a wide range of symptoms. Just as important to note is the fact that dementia is not the same as Alzheimer’s disease. Alzheimer’s, however, is one of several types of dementia. Regardless of what type of dementia a person has, though, it is always the result of damage to brain cells. While dementia is common in older adults—and age is a leading risk factor—it’s important to note that it’s not a normal part of aging. All cases of dementia are progressive, though some take more time to advance than others. The changes that people with dementia experience typically become severe enough to interfere with their independence, close relationships, and overall, their quality of life. Does Your Aging Loved One Need Extra Care? Senior LIFE may be an option. Is Senior LIFE an Option for My Aging Loved One Who’s Showing Signs of Dementia? Even if your aging loved one has dementia, he or she may want to remain at home for as long as possible. And as his or her caregiver, you want to provide as much care and support as possible. But there are many challenges with dementia, which may make it difficult or impossible for you to care for your loved one without outside assistance. The good news is that there are options to help seniors with dementia and/or memory problems stay at home. If it’s time to find help outside the home for your aging loved one, Senior LIFE may be an option. Senior LIFE provides a nursing home alternative that allows members to remain independent and living at home while receiving the additional care they need both at a Senior LIFE Center or in the home. Because each Senior LIFE member has unique needs, all care plans are individualized, and cover all medically necessary services—from physician and nursing services and in-home services to social services and through-the-door transportation. Senior LIFE is designed to help seniors manage the challenges of aging, including dementia, and, ultimately, live their best lives at home. With Senior LIFE, members are able to access the health and supportive services they need—and still have the independence they want. To find out whether you’re eligible for Senior LIFE, contact us today to set up a meeting!